Sessions is a concept album about the journey through the mind of a troubled mental patient who is struggling to confront his own personal demons through a series of sessions with a psychiatrist. Each individual song resembles those sessions. Whether they’re spastic (to give the feeling of panic the patient is feeling), or offering triggering the epiphany that is his own reality, Sessions is not just an album… it’s an experience. Often compared to a plethora of bands and genres, THE SUMMONED are no strangers to pushing the boundaries of traditional heavy metal. With technical riffs, head bobbing grooves, sing-along choruses, jazzy interludes, and epic solos, there is always something for the discerning listener to grasp, resulting in a sound that will appeal to a variety of fans. Sessions was produced by The Summoned and Evan Sammons. The album was engineered, mixed and mastered by Evan Sammons in Belgrade Maine. THE SUMMONED is technical metal band hailing from Boston, Massachusetts. Often compared to a plethora of bands and genres, THE SUMMONED are no strangers to pushing the boundaries of traditional heavy metal. With technical riffs, head bobbing grooves, sing-along choruses, jazzy interludes, and epic solos, there is always something for the discerning listener to grasp, resulting in a sound that will appeal to a variety of fans. Since forming in the winter of 2007, the band had one goal in mind: to always push the limits of what heavy metal is supposed to be. Fully utilizing the various influences of the individual members, including Sam’s love for death metal, Shaun’s passion for progressive metal, Stephen’s fascination with mainstream metal, and Jarred’s fondness for guitar virtuosos, THE SUMMONED have created the dynamic sound you hear today. In the winter of 2011 THE SUMMONED released their first full length titled If Only Minds Could Paint Pictures to critical acclaim, including a perfect 5 out of 5 on TheNewReview.net and an 8/10 on theheaviestmatteroftheuniverse.com, as well as praise and continuous airplay on Rock 101. THE SUMMONED felt it was time to embark on tour to support the album. In the summer of 2012 THE SUMMONED embarked on a 23-day headline tour spanning the U.S. and Canada with a homecoming show to play the 2012 Summer Slaughter Tour with Cannibal Corpse, Between The Buried and Me, The Faceless and more. After a year of playing shows up and down the east coast along with dates in Canada, THE SUMMONED felt it was time to begin writing a new their new album Sessions with the goal of topping the critical acclaim afforded the previous release, If Only Minds Could Paint Pictures (2011). In the winter of 2013 THE SUMMONED entered the studio with longtime friend Evan Sammons of Last Chance To Reason (Prosthetic Records) to begin the recording process. 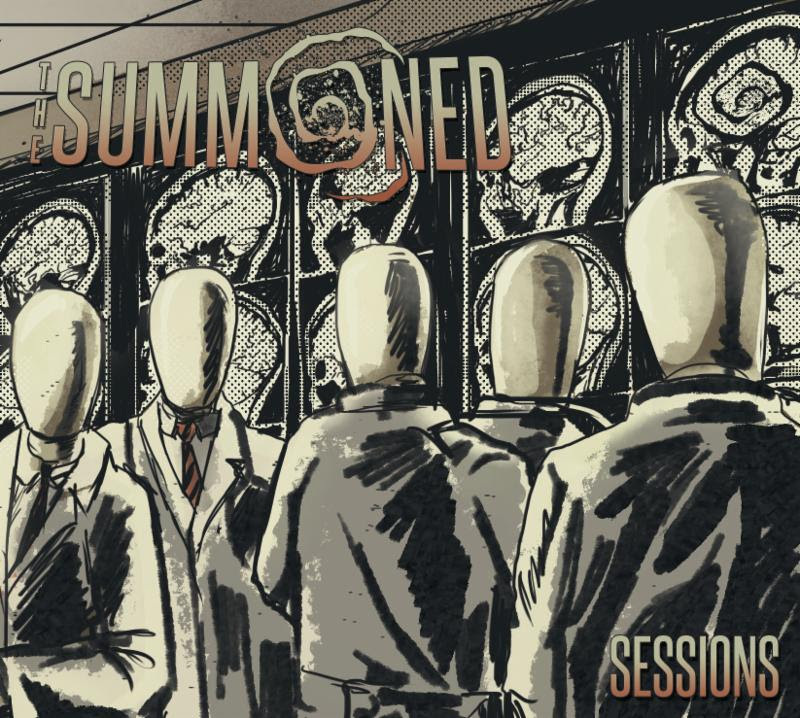 For the next three years THE SUMMONED would spend time in the studio writing, working on every nuance of the album to ensure the technicality and sound quality was leaps and bounds ahead of their previous effort; with Sessions the band has achieved that goal. Sessions is the journey through the mind of a troubled mental patient who is struggling to confront his own personal demons through a series of sessions with a psychiatrist. Each individual song resembles those sessions. Whether they’re spastic (to give the feeling of panic the patient is feeling), or offering the soothing realization of what in fact is going on,Sessions is not just an album… it’s an experience. 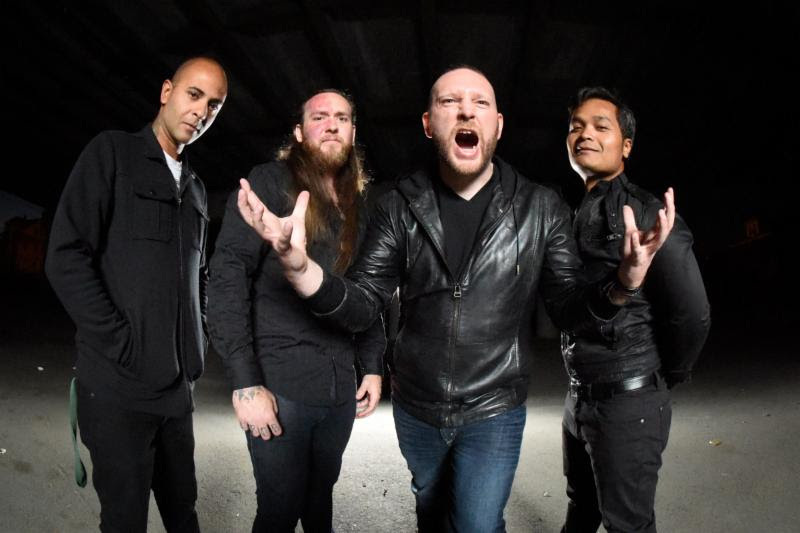 With the praise of their peers, various U.S. and Canada tours under their belt, merch and albums sold worldwide, and features in publications such as Sick Drummer Magazine,THE SUMMONED have achieved a great deal as an independent band. Indeed, the group has shown that through hard work and a dedication to the creation of their personalized vision of heavy metal the music create will strike a nerve and leave an everlasting imprint on the psyche. Between The Buried and Me, Cannibal Corpse, The Faceless, Periphery, Overkill, Job For A Cowboy, Veil of Maya, Suffocation, Dying Fetus, Revocation, Soulfly, Winds of Plague, DevilDriver, Havok. PreviousHumangod releases a single “Real Me” and starts Eastern European tour!